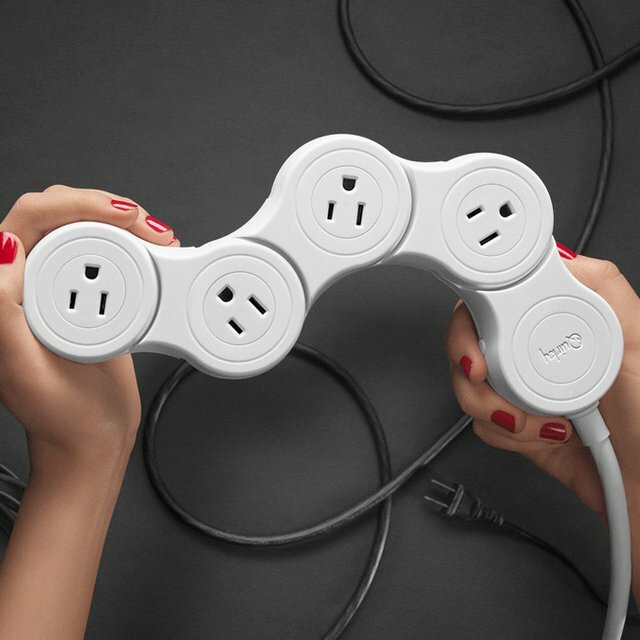 A unique power strip, the Pivot Power Junior bends to fit any sized plug or adapter without wasting a single outlet. Four pivoting outlets accommodate plugs and chunky adapters of all shapes and sizes. Perfect for dorms and cramped home offices, it bends to fit into awkward places. Fewer outlets and just two feet of cord make it more compact than the original.